Please enter the parts numbers you would like to buy. 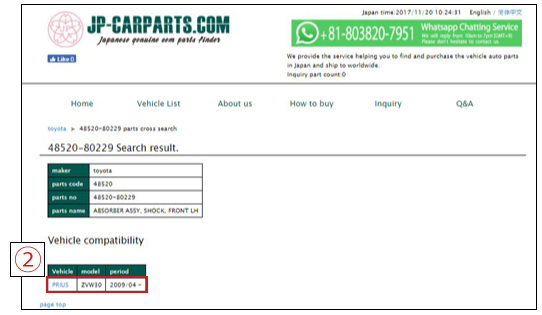 For example, if you would like to buy the OEM parts of 48520-80229 for TOYOTA, enter '48520-80229' and click 'search'. You could see 48520-80229 Search result. Select the vehicle name you are looking for, and click it. 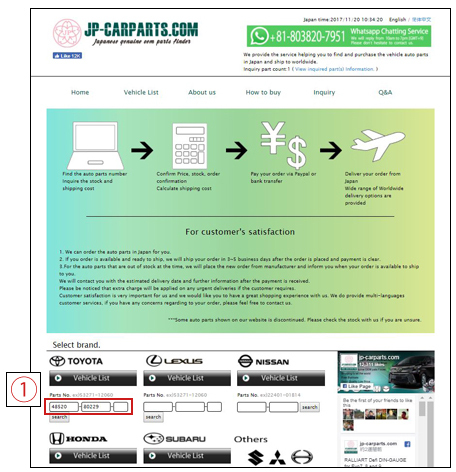 After you click the vehicle name, more details of the parts will be provided in the next page. You could see the parts number '48520-80229' marked in blue, and find 'OEM'(green button) on the right end. Then, click 'OEM' (green button). The OEM parts numbers are displayed. 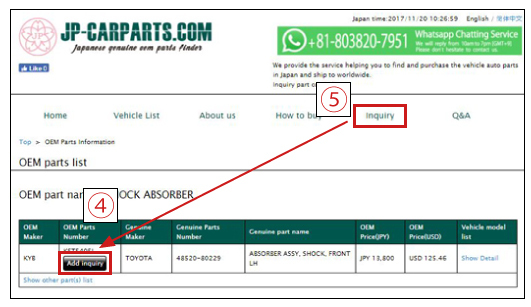 Please check the 'OEM Maker', 'Genuine Maker', 'Genuine Parts Number' and 'Genuine part name' carefully before you place your order. Once you would like to purchase the parts, please click 'Add Inquiry' (gray button). Then, click 'Inquiry' on the top of our webpage. 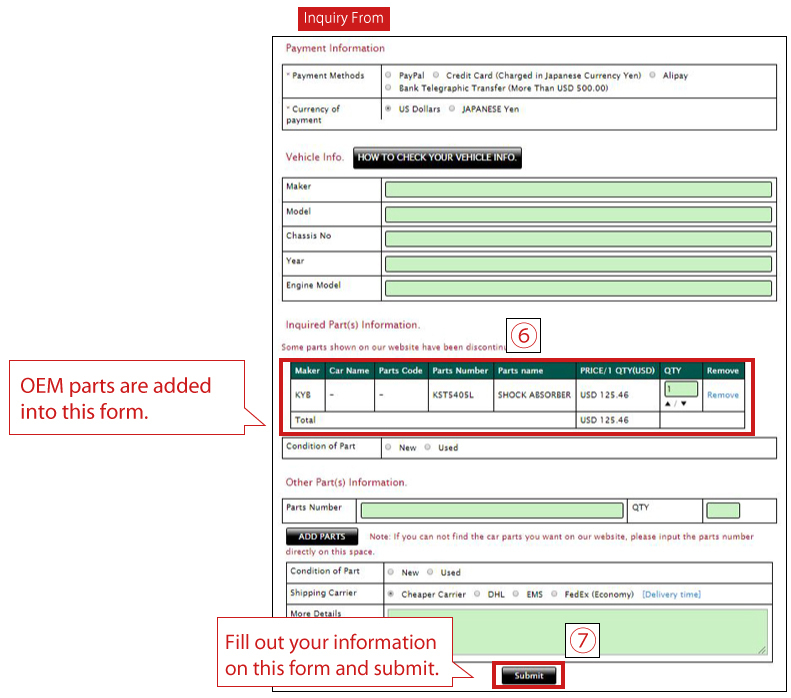 You could see that the OEM parts are added into your inquiry form. 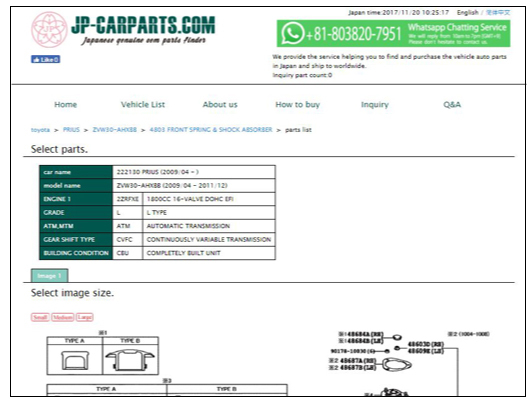 When you finished, click 'Inquiry' on the top of our webpage, you could see all the auto parts you added. Please, fill out your information on the inquiry form and submit. We will contact you at our earliest convenient.